We love customisation and name stickers are a great, but subtle way to make your pride and joy unique. 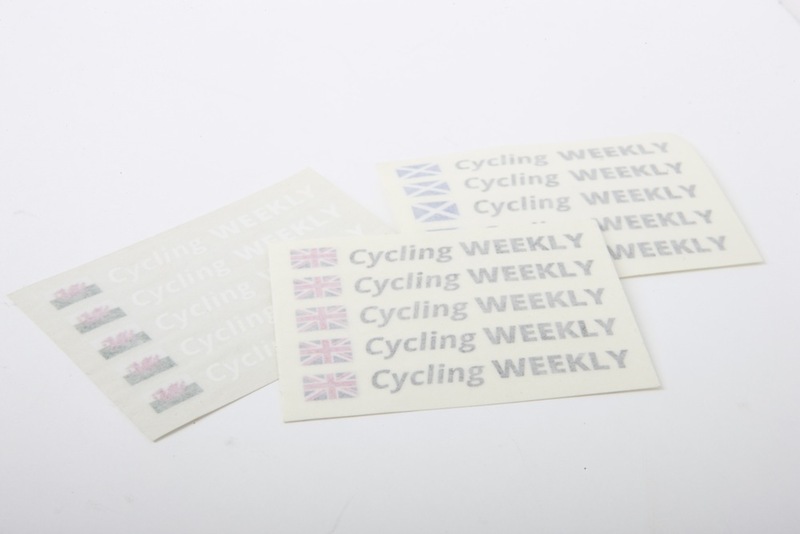 For just £9.99 you can get a set of ten Pegatin stickers with your name and choice of flag to make sure you can always tell what bike is yours. For a little bit more money, you can have your name written in both white and black (meaning you can use it on light colour surfaces), and for £29.99 they will be vinyl transfers with individually cut letters. Thats what we have here, the vinyl transfers. A huge range of flags are available – even Yorkshire! The stickers come in sheets, such as those pictured above. The vinyl transfers look great, but are also ideally suited to matte frames. 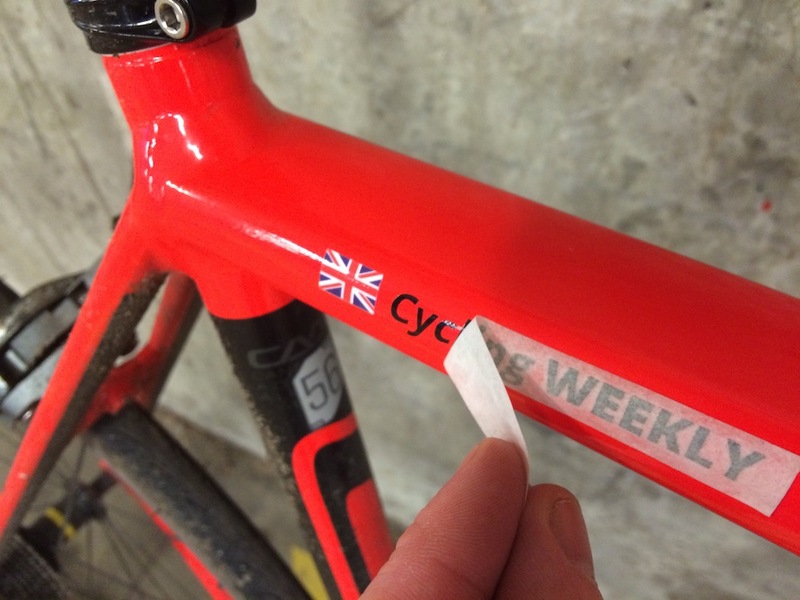 The standard acetate stickers can reflect light slightly, looking out of place on a matte bike frame. To apply the transfers you cut an individual one out, remove the backing paper and press the transfer against your clean dry bike surface. Press down and rub the individual letters, to ensure they stick and then carefully peel back the cover paper. Carefully peel back the backing paper to leave the sticker behind. This process takes a little care and can result in odd letters not sticking properly. However, having done it many times on lots of different bikes, we have found them to work consistently very well. Just make sure your frame is clean and there is no finishing spray on the surface as this can interfere with the glue. 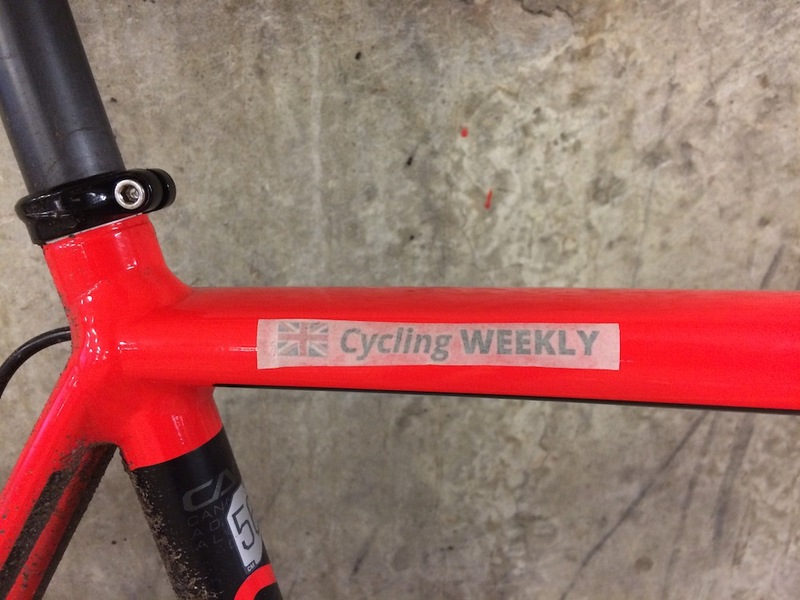 Having ridden with these stickers on bikes for the last 10 months, I can report that they certainly stand up very well to bike washing and bad weather. Durability is great, but I would suggest taking care in situations such as putting your bike in a car as they are not bullet proof.